Essie is excited to be back, having previously been seen on the BCT stage in Songs for a New World, and as Cinderella in Into the Woods. Most recently she was seen in her PATA winning performance as Nina in Stumptown Stages In the Heights. Essie enjoys running, and is traveling to Orlando, Florida in January to run in the Disneyworld Half and Full Marathon. Thank you to Meghan for the wonderful opportunity! Adam is a Portland native and is very happy to be back once again with BCT. Previous BCT appearances: Passepartout in Around the World in 80 Days, Man 2 in Songs for a New World, Frederick Treves in The Elephant Man and Sam in Crossing Delancey. He holds a BA in Theatre from Whitman College. Thanks to Megan for letting me be a part of the fun and to my family for all the support. Erin is thrilled to return to BCT, having performed in The Philadelphia Story as Tracy Lord. With a penchant for comedy, some of her favorite roles include Gabriella in Boeing Boeing, Ruth Kelly in Harvey, and Bunny in I'm Getting Murdered in the Morning. Thanks to the audience members for attending this farcical romp during the holiday season! Thanks also to mom, dad, and sister Kelly for putting up with her theater insanity! Kraig has been acting and directing in theater for 20+ years, has been very active with BCT in the last 5 years, and looking forward to the 2017 season. "It's good to be home". Favorite roles include: Rev. Hale in The Crucible, Hysterium in Forum (both with BCT), Lloyd Dallas in Noises Off (Nutz-n-Boltz), and Max in Lend Me a Tenor (New Century Players). Thanks to Nicole and his kids for their love and support. This is Jason's first production with BCT. Recent roles include Tessman in Hedda Gabbler and Annus in Jesus Christ Superstar. Jason has just joined with Light Opera of Portland and will be playing the Pirate King in Pirates of Penzance in February. "Christmas is not a time nor a season, but a state of mind. To cherish peace and goodwill, to be plenteous in mercy, is to have the real spirit of Christmas." Calvin Coolidge. Sarah most recently returned from the dead as Cowgirl Ancestor in the The Addams Family. Some of her other favorite roles include Mrs. Daigle in The Bad Seed, Cordellia ffoliet-ffolkes ffortescue Woods in A Dicken's Christmas Carol: A Traveling Travesty in Two Tumultuous Acts, and Leila in Gilbert & Sullivan's Iolanthe. In her free time, she enjoys reading, swimming and spending time with her grandbabies. Benjamin is thrilled to be making his BCT debut, Favorite roles of 2016 include Rev. David Marshall Lee in The Foreigner (Hart Theatre), Mrs. Forrest in Pyshco Beach Party (Twilight Theater), and Adolph Freitag in The Last Night Of Ballyhoo (Mask & Mirror). Special thanks to Meghan for her dedication and passion, and my fellow cast members for their hard work and support. For Nancy: You are in my heart. Always. Meghan is thrilled to return to BCT directing such an amazing cast! Previous work at BCT includes directing Dearly Departed and acting in The Odd Couple. 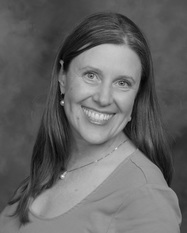 A graduate from Whitman College with a BA in Theatre, Meghan has acted and directed all around the Portland Metro area. Special thanks to the cast, producers, and crew for their hard work and dedication; and thank you to my husband Jason, family and friends for all their support! This show marks many firsts for Megan. It is her first show with BCT and also her first time stage managing. Megan is so happy that it is with this wonderful, talented group of people! In the last 10 years she has acted with HART, Lumiere Players and Mask and Mirror. Enjoy the show!